Coire Dubh the pure ice climb is on Goat Mountain and is 250m WI 3, a long easy climb that works its way up the face. Good for beginners and easy multi pitch climbing with a few short steep steps. Coire Dubh Integrale is 550m WI 3 mixed with 5.7 rock moves. 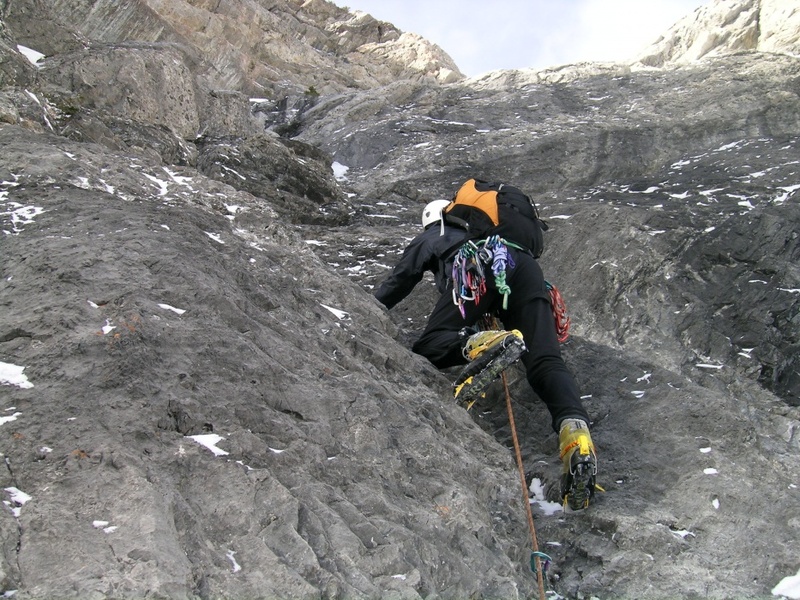 This mini alpine route offers a great taste of mixed climbing at a intermediate level. We start at the top of Coire Dubh ice route. The route is well protected with natural gear and a few bolts and climbs a large coral reef offering interesting rock. Easy ice, moderat mixed climbing. Fees are per person per day and in Canadian funds. Coire Dubh Integrale at 550m and has a long walk off, around a 12-14 hour day. 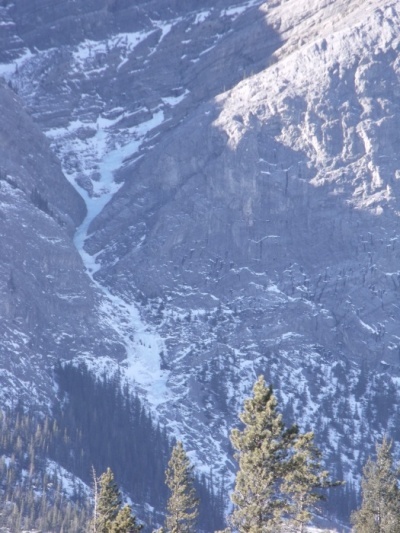 We only guide one guest on this route and the cost is $600.00 per day.